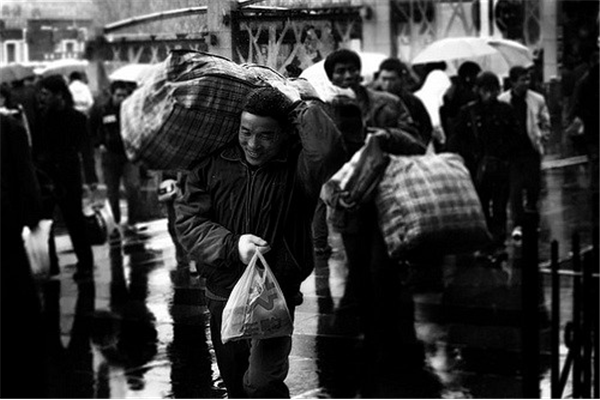 As migrant work becomes increasingly prevalent in China, a social phenomenon known as temporal marriages has emerged to meet needs of the heart and flesh. As migrant work becomes increasingly prevalent in China, a social phenomenon known as temporal marriages has emerged to meet needs of the heart and flesh. Migrant workers flood into cities in hopes of building a better life for their families back home, forcing spouses apart for long periods of time. In seeking comfort and a remedy for loneliness, migrant workers venture into temporal relationships with other migrant workers. Often these relationships emerge and grow through electronic means — texting and social media — before meetings happen in real time. Those engaged in temporal marriages must grapple with feelings near and far, their legal partners at home and assumed relationships in the city. US-China Today has gathered voices from experts and interview sources to illustrate different aspects and perspectives on temporal marriages.